(upto 24)78cm long Musa high definition 3GHZ patch cord with belden high flex cable. (upto 24)78cm lon... high flex cable. 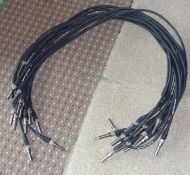 (quantity available)105cm HD 3ghz high defintion HDSDI musa patch cords. Belden high flex 3ghz cable. 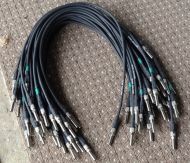 (quantity availab... flex 3ghz cable.